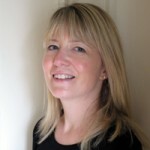 Dr Emma Henderson is a professional specialist in Clinical Psychology. Emma provides therapies based on cognitive, behavioural and evidence-based treatments for Anxiety, Depression, Post Traumatic Stress, Health Anxiety, Stress, Adjustment Problems, Chronic Pain / Pain Management / Chronic Fatigue Syndrome, Sexual and Relationship Problems, Eating Disorders / Body Image Problems / Mood Disorders including Anger Management, Communication and Assertiveness Problems, and Sleep Management. Or you can use the contact form on this page.